In the front page of Sunstar Superbalita dated April 28, 2010, reads: “Mga Durano nipasalig nga mohatag silag makabungog ug dakong kadaugan ni Lakas-Kampi-CMD Gilberto ‘Gibo’ Teodoro sa 5th district sa lalawigan sa Sugbo. 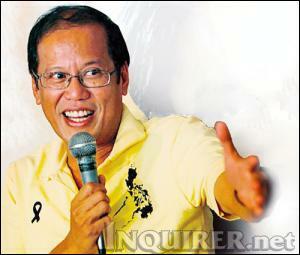 Aquino got 24,299 votes, compared to Teodoro?s 21,287 votes in Danao City. In the fifth congressional district, the tally showed 148,675 votes for Rep. Ramon Durano VI, compared to 22,784 for Jesus Durano Jr.
Danawanons all over the world must be happy, knowing their brothers and sisters back home have started to experience without fear a freedom of choice – and no more goons, guns and hopefully, no more vote-buying also next election. For the record I was hoping and rooting for Gibo Teodoro to win, but the Filipino people have spoken, so we must respect, support and pray for our new President to succeed.